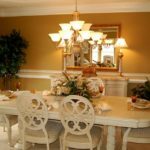 Welcome to our image gallery illustrating a variety of dining room designs, decorations, different types of dining tables and chairs etc. We hope you will enjoy the following image collection and will prove useful to you in case you need to get some ideas for your own home decoration or home remodeling project. 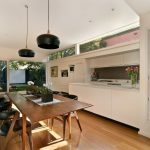 Nowadays, there are many homes whereby the dining area is integrated in the living room or maybe the kitchen hosts the dining table for having all of our meals. 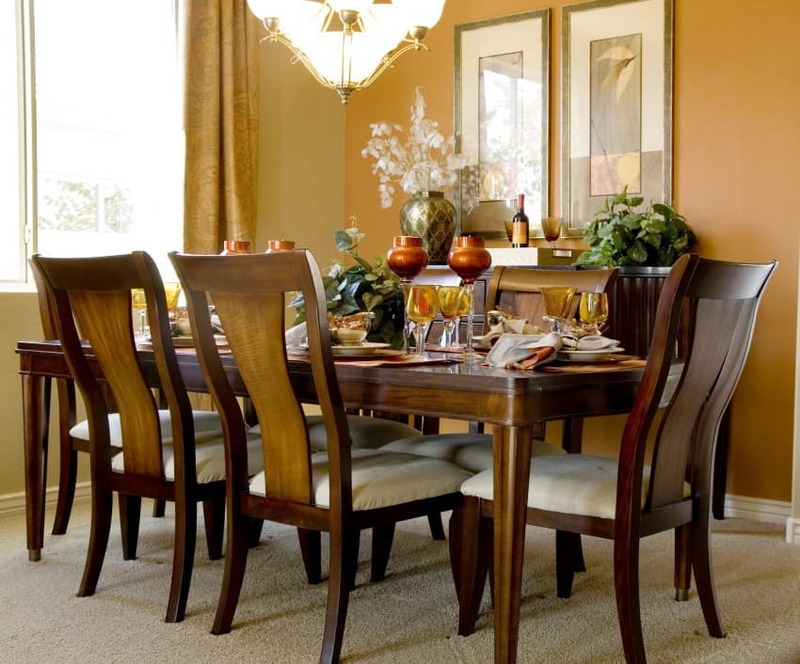 On the other hand, a lot of homes incorporate a separate dining room area with a complete set of dining furniture like table, chairs, buffet etc. Whatever the case is, there is always a place in the home for dining in and there are always some dining furniture for having our meals. 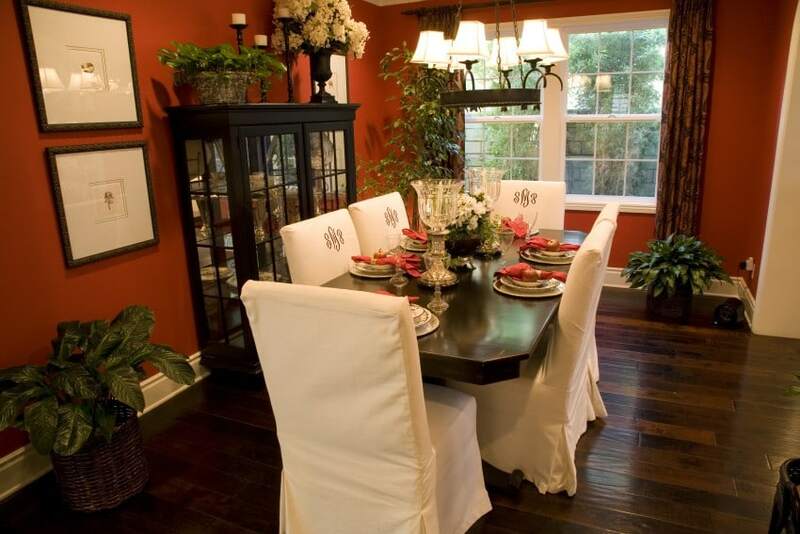 In the following collection you will find various styles, colors and sizes of dining rooms for small or large houses. 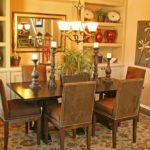 Of course the center of attention to any dining room is the table, therefore you will notice this furniture to be the focus of most of the pictures below. 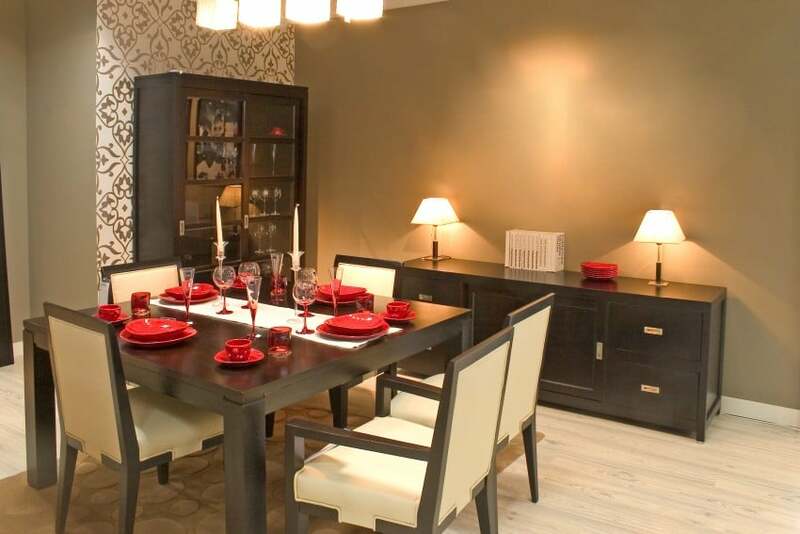 Luxury dining room and dining table with glasses, dishes and furniture. I love the red colored plates and cups on the dining table. Dining room and table with festive decor. 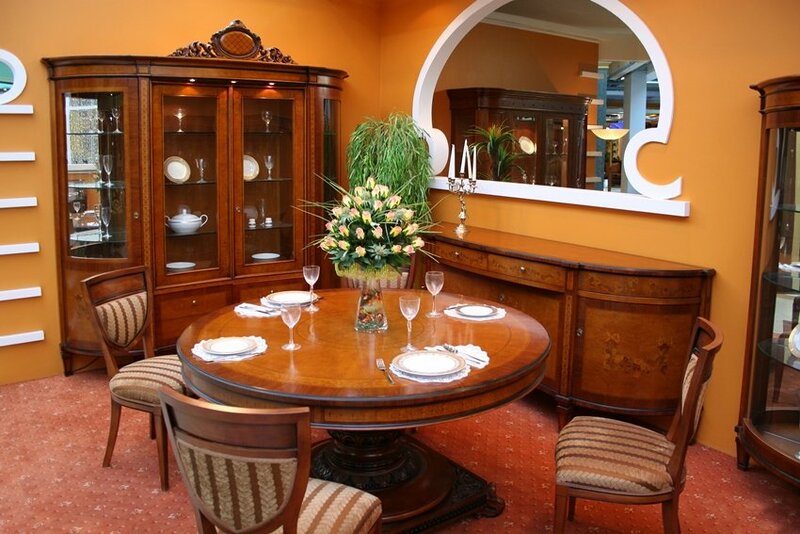 The display cabinet behind the dining table is very useful for enclosing expensive utensils, crystals etc. 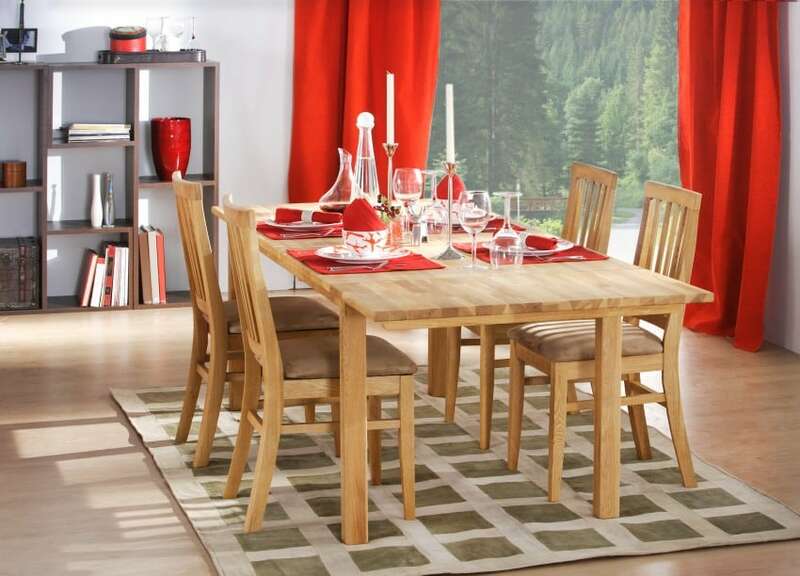 A simple dining room with wooden table. The large window in the back allows for ample light to get in the room. 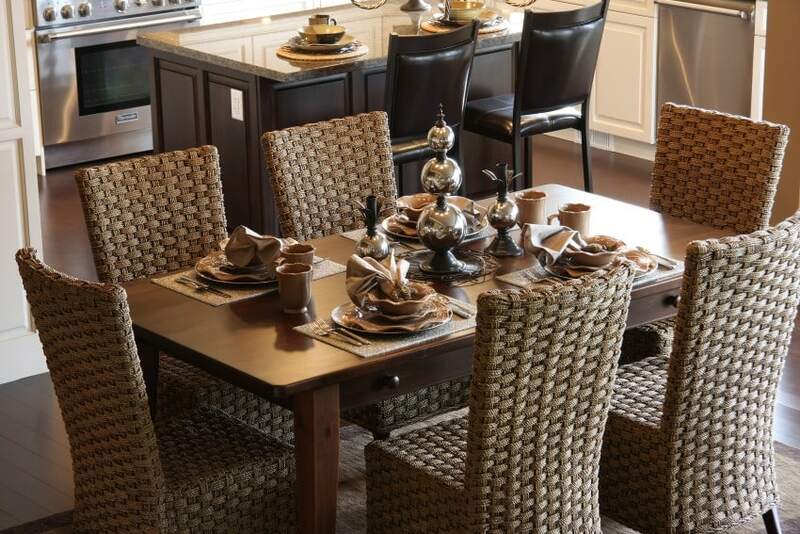 A stylish dining room of a modern home in a new community. 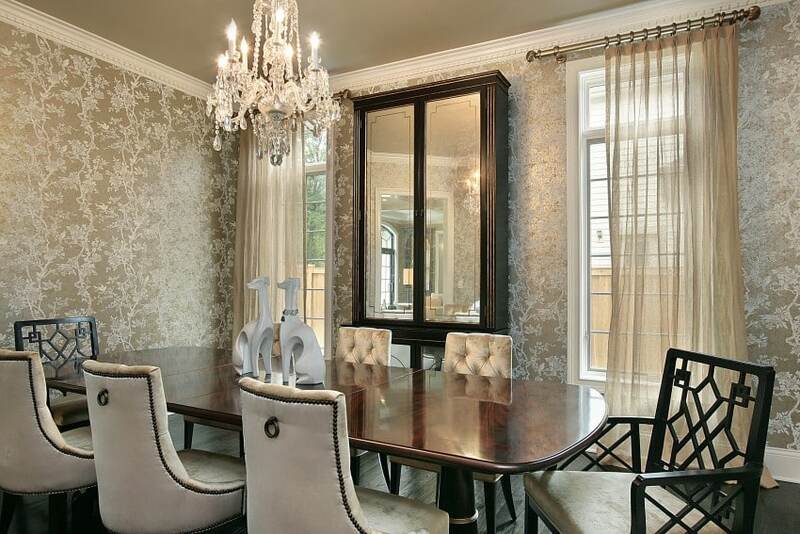 It looks luxurious and has great decorating items on the wall cabinet. 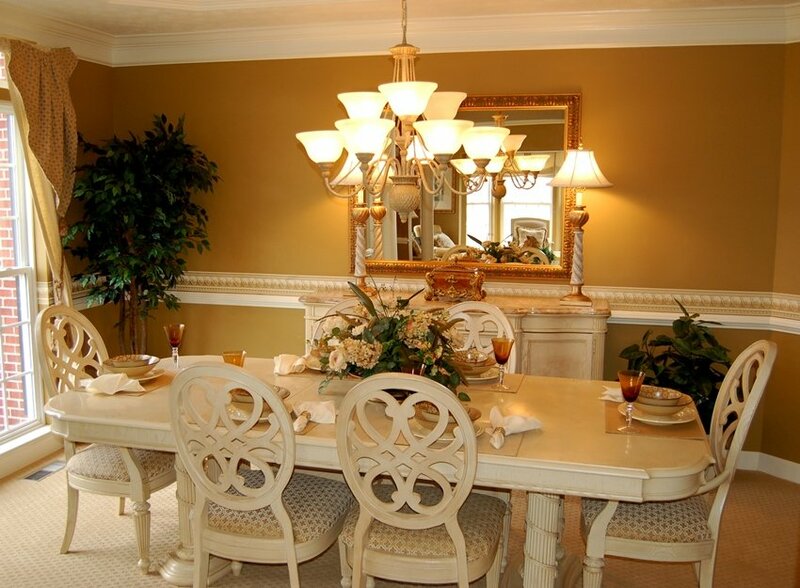 Dining room in luxury home with gold walls and a chandelier hanging high on the ceiling. I would prefer the lighting to be lower, just above the table though. 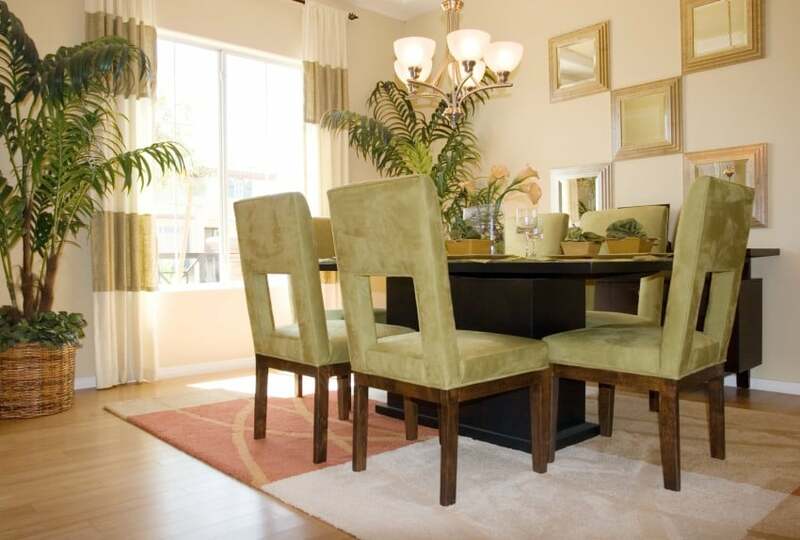 Dining room and table with light green walls and flowers giving a sense of nature in the whole room. 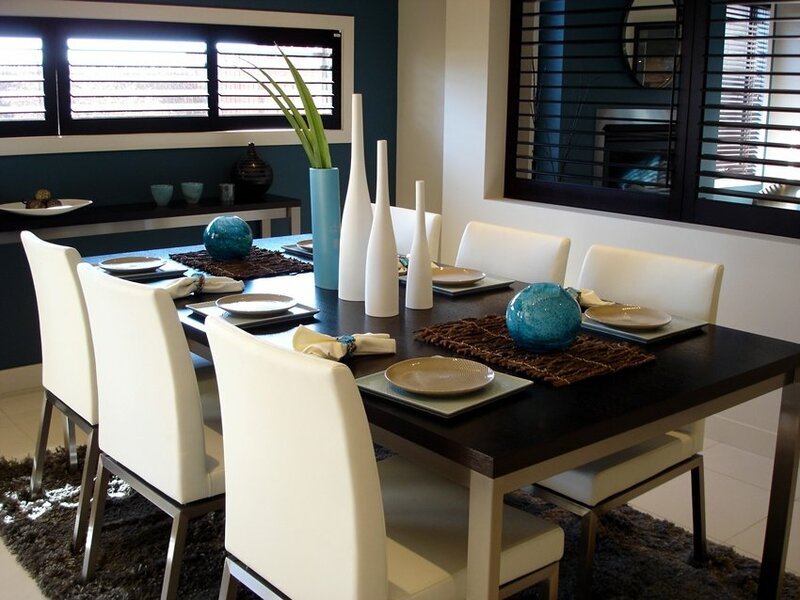 Stylish blue and white dining room with table set ready for a nice meal with friends. Metal frame table with wooden-like counter-top. 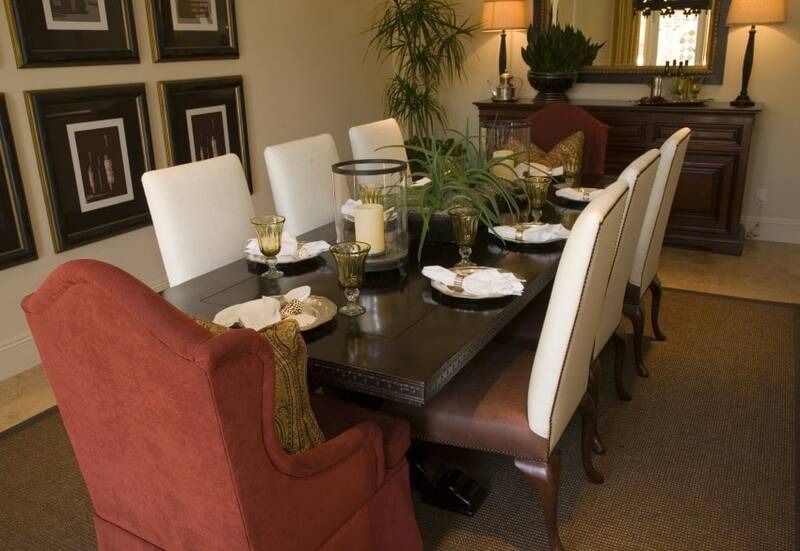 A beautifully decorated dining room in a luxury model home. I love the lighting on top of the table and also the two standing lamps on the buffet furniture. 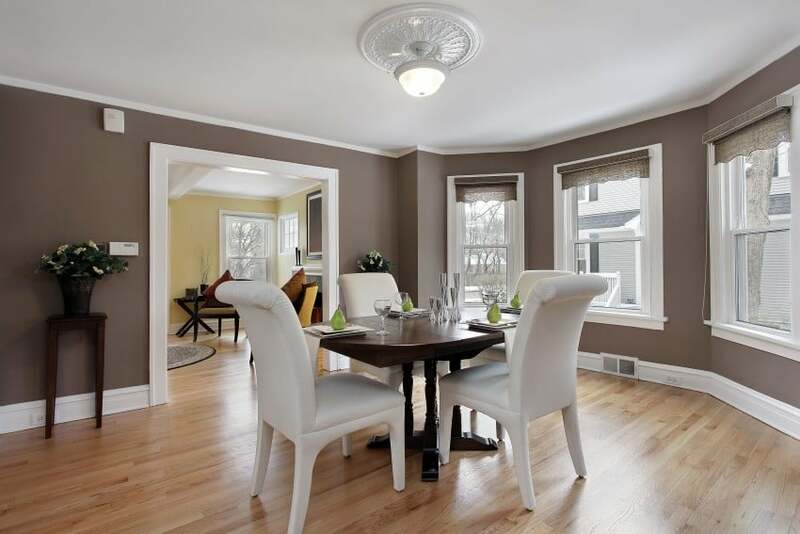 Dining room in suburban home with wall of windows. The table is kind of small in my opinion for such a big room. 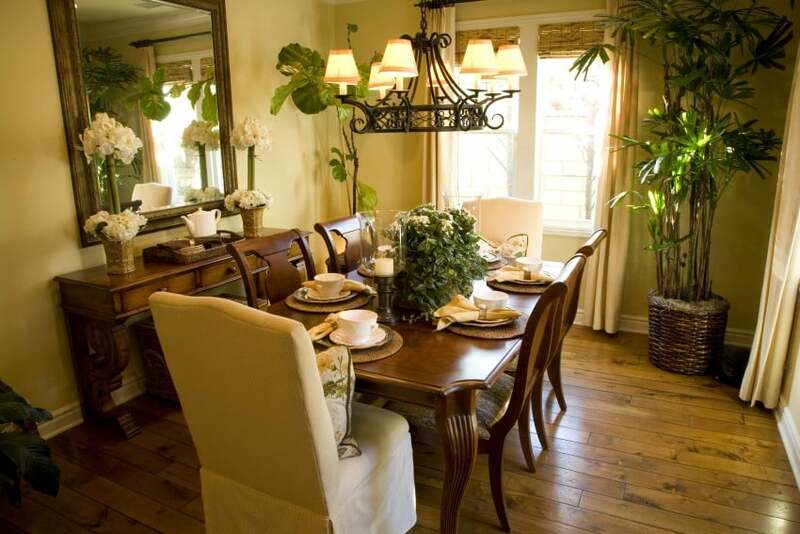 Modern tastefully decorated dining room with olive color chairs. Elegant Dining Room. 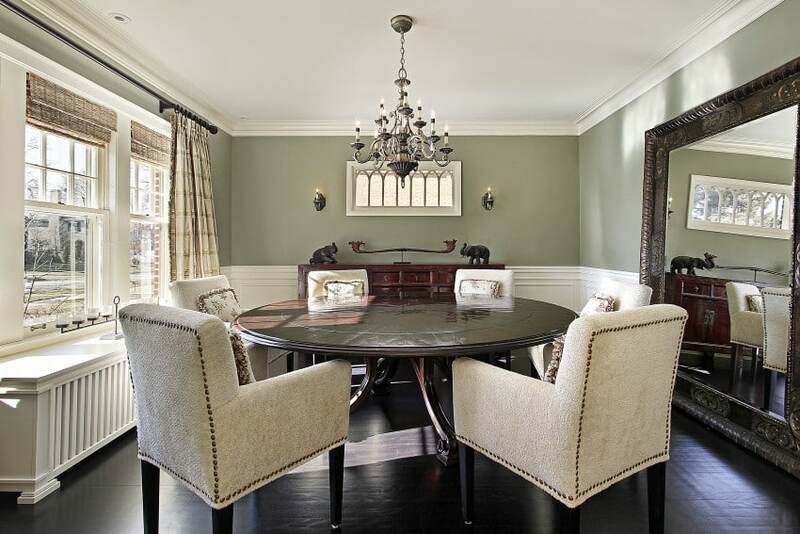 The color of the furniture gives a classic look to the whole room. Dining room in luxury home with olive walls. Heavy round table and white arm-chairs. 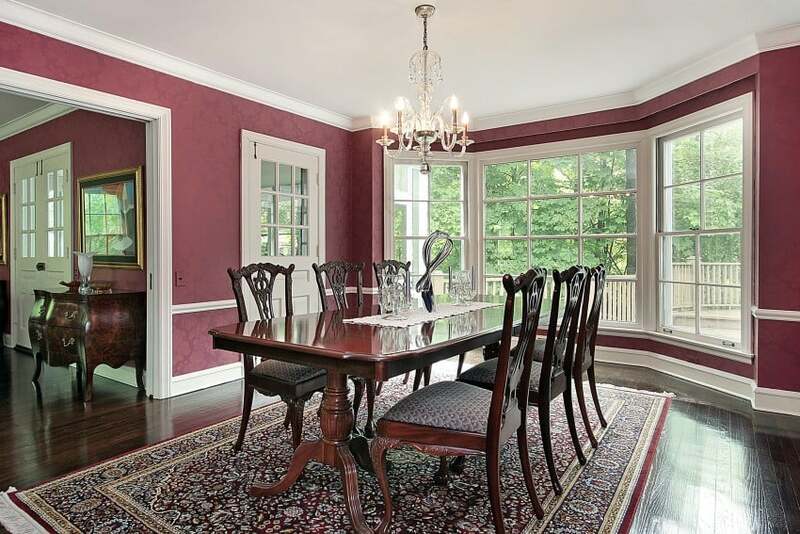 Dining Room with Red Walls and a nice standing showcase display cabinet (china cabinet) next to the wall. Notice the two levels on the dining table. 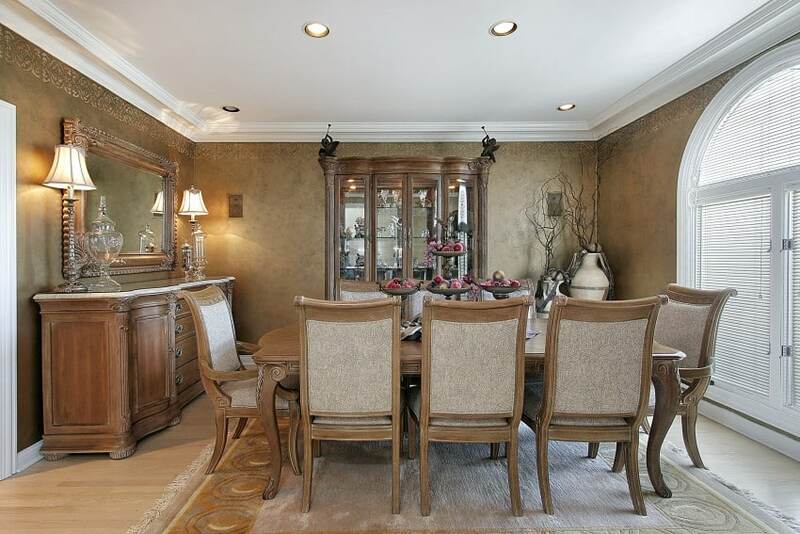 Brown color dining room with buffet and windows. The whole color pallet gives a sense of classic and antique atmosphere to the room. Luxury interior of dining room waiting for people. Gorgeous looking showcase “china cabinet” and buffet furniture. I like the big mirror on top of the buffet. 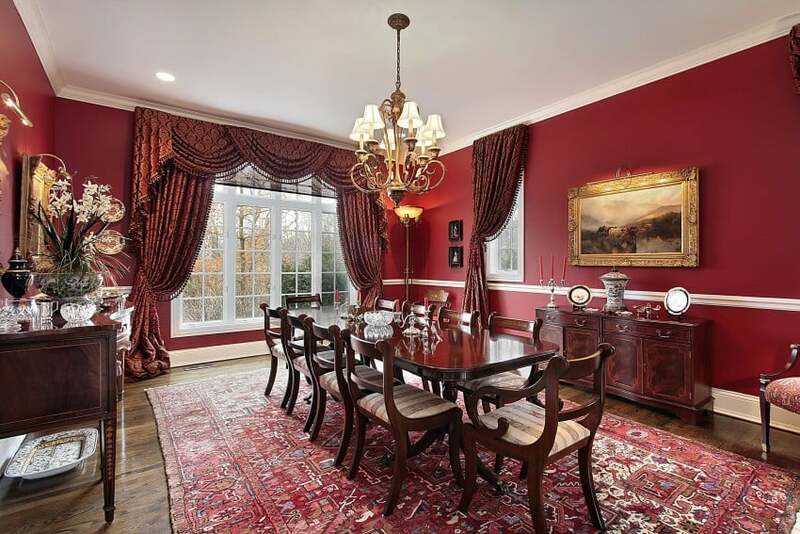 Traditional dining room with red walls and big windows. 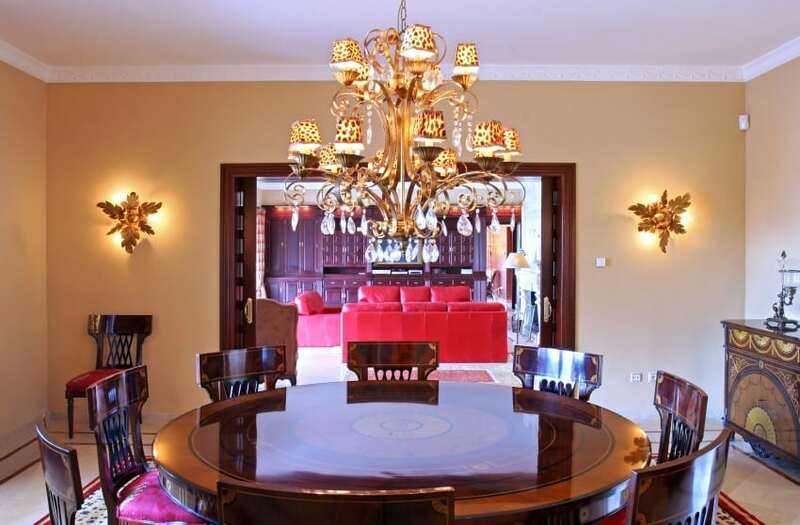 Formal big dining room with ten chairs. The red color and wooden furniture give a traditional flair to the room. 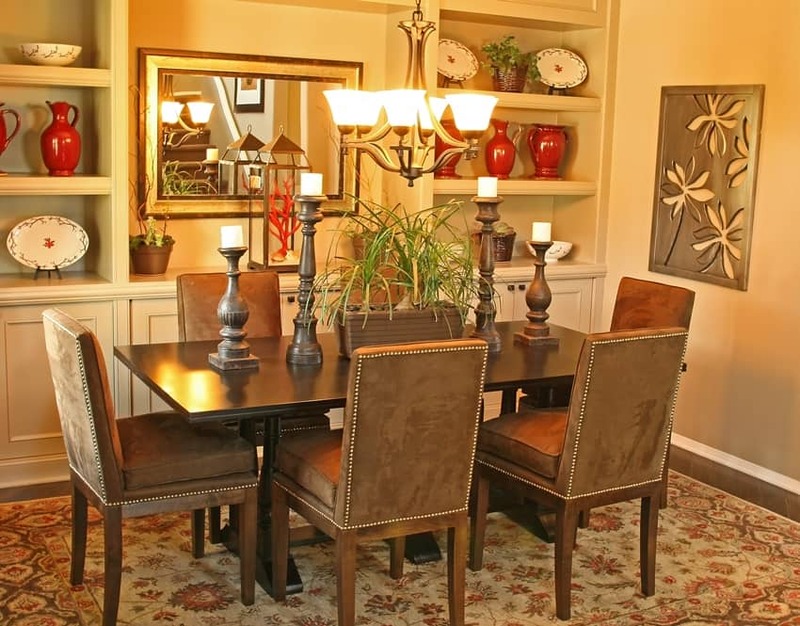 Dining room with modern furniture and decor. Dining room with bamboo style chairs. 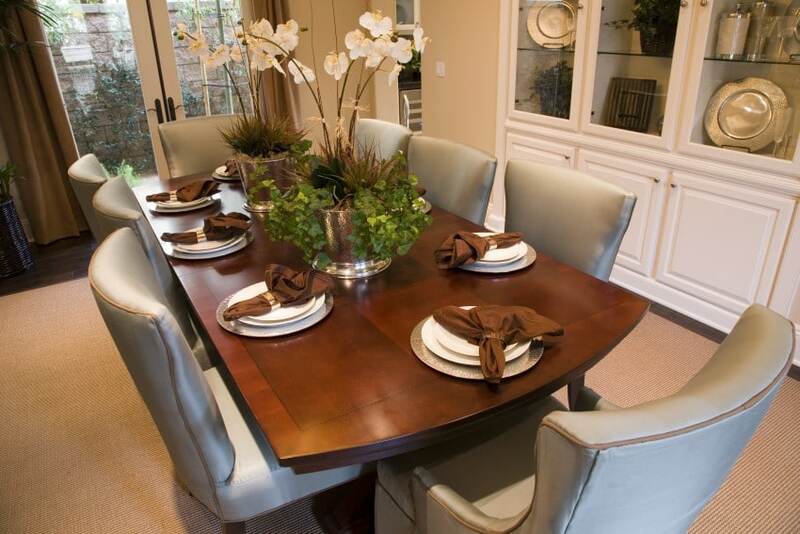 Luxury home dining table with modern tableware. I like the mix-and-match of the chairs having a different chair on the head of the table (maybe for the master of the family !!). Modern living room in a minimalist house. The square table looks very nice but consumes a lot of space. Interior of luxury dining room in expensive Spanish villa. The big chandelier on top is one of the luxurious elements of the whole room. Dining room interior. 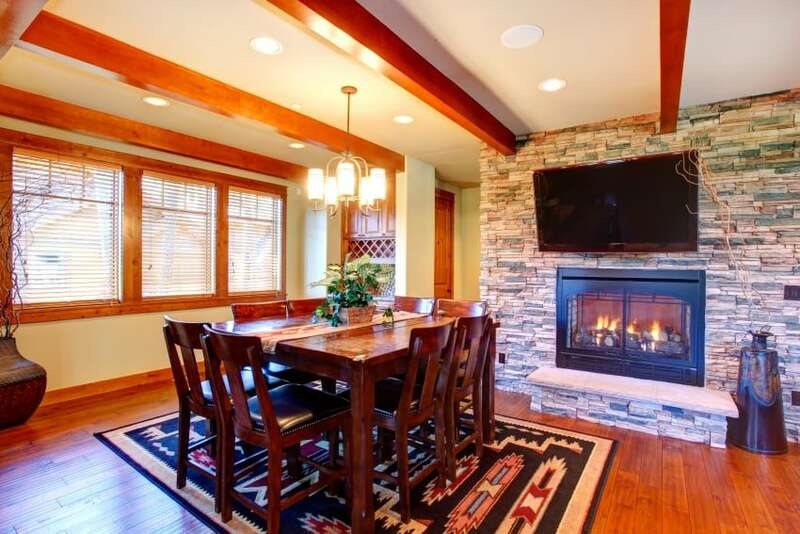 Ceiling beams blend perfectly with stone wall trim and fireplace. Dining room has wooden table set and TV.